Schedule your consultation with us today so that our IRS Enrolled Agents can get your tax situation back on track. If you are facing issues with the IRS, we know you’re scared, intimidated and overwhelmed. Owing money is always a stressful situation, when you owe the government it can feel helpless. To make matters worse, there are too many fly-by-night organizations who offer to negotiate with the IRS on your behalf, promising to reduce your tax burden to ‘pennies on the dollar’, yet leaving you with even less money and no lasting tax resolution. Not all tax relief agencies are created equal. True Resolve Tax Professionals guarantees licensed experts with the know-how and experience necessary to solve your tax problems, combined with a uniquely personal approach giving you peace of mind. No matter how scared you might be, just remember that it’s never too late to settle tax issues. Our team of licensed tax professionals offers compassion and commitment to get you back on track fast. How Can the True Resolve Tax Professionals Help You Today? Dealing with the IRS alone can be overwhelming and intimidating. We communicate with the IRS directly to assist you in all your resolution issues. Learn how we can support you in understanding your options. No matter the size of your business, keeping current and compliant with the IRS takes a lot of time and effort. Our team of licensed professionals is dedicated to keeping you from getting overwhelmed. Our team of dedicated specialists is on your side and will help you navigate the complex world of taxes while providing peace of mind. Learn how we can help you with your personal and individual tax needs. Do You Need Tax Resolution Now? Are you in trouble with the IRS? Do you feel hopeless, overpowered and ready to give up? We understand how you feel and we know what you need to get back on the right track, fast. Many people experience tax liens, imposing fines and penalties, suffocating wage garnishments and property seizure. Whether it’s educating you on your rights, representing you during a tax audit, negotiating back tax liability or helping you prepare for a future tax burden, we have the highest level of expertise needed to guide you safely, ethically and confidently into a more secure financial position. 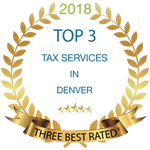 Our team of specialized, licensed tax professionals offers compassion, commitment and unparalleled customer service allowing you the freedom to focus on what’s most important to you. Not all tax relief agencies are created equal. True Resolve Tax Professionals guaran-tees certified experts with the know-how and experience necessary to solve your tax problems today and a uniquely personal approach to give you peace of mind. Look to us for business or individual tax resolution, understanding the IRS, tax preparation, bookkeeping and accounting, payroll and all of your income and tax-related needs.